New York Urology Specialists understands that medical care can be expensive in New York City. For men and women without health insurance who are paying out of pocket, we offer special services and discounts to make outstanding urology care affordable to everyone. No Health Insurance? No Problem. Experienced Urologists at New York Urology Specialists will offer you great care for less. Contact Us for Details. See why New York Urology Specialists is the BEST VALUE FOR YOUR MONEY. 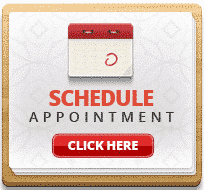 We solve your problems faster in fewer visits. This saves you money. We offer Video Consultations which can save you on Travel Costs. We prescribe generic medications which saves you up to 80-90% on prescriptions. We negotiated discounted tests for you (blood tests, urine tests, other laboratory tests) which can save you 50-70% off the regular prices on lab tests. We negotiated fixed discounted surgical prices for many outpatient procedures that include anesthesia, surgery and surgeon’s fees.